AUCET/ AUEET Syllabus, Exam Pattern (एयूसीईटी/ एयूईईटी सिलेबस, परीक्षा पैटर्न) 2017: All those candidates who are searching for the study material to prepare themselves for the Andhra University entrance exam 2017 will feel happy after knowing that they will get the complete details of AU CET Syllabus 2017 here. The questions that are asked in entrance exam are based on 10+2 level of CBSE/ state level board. We have included all the topics that are covered in the syllabus of Andhra University CET 2017. Candidates will be able to check the subject wise syllabus for AUEET/ AUCET from the details mentioned here. Candidates will also be able to access the complete and detailed AUEET/ AUCET Exam Pattern 2017 by undergoing the information below. If we talk about the syllabus of Andhra university AUCET, then we want to conclude that the questions will be asked from Life Science, Physical Sciences, Mathematical Sciences, Chemical Sciences, Geology, Humanities & Social Sciences, English, Telugu. In Case of AU EET Syllabus 2017, we want to say that the questions will be asked from Physics, Chemistry, and Maths only. Candidates searching for the Andhra University AUEET 2017 Exam Pattern will be able to check the complete paper pattern from the details mentioned here. Candidates searching for the Exam Pattern of AU CET 2017, will be able to access the complete pattern of the questions that are asked in the Andhra University Common Entrance Test. 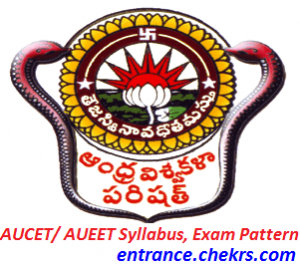 Candidates who are in the search of the exam pattern and syllabus of Andhra university CET will be able to access the complete details that will make the candidates aware of the pattern and the type of questions that are asked in the entrance exam. AUCET syllabus 2017 comprises of the question based on 10+2 level of the subjects that are mentioned above. 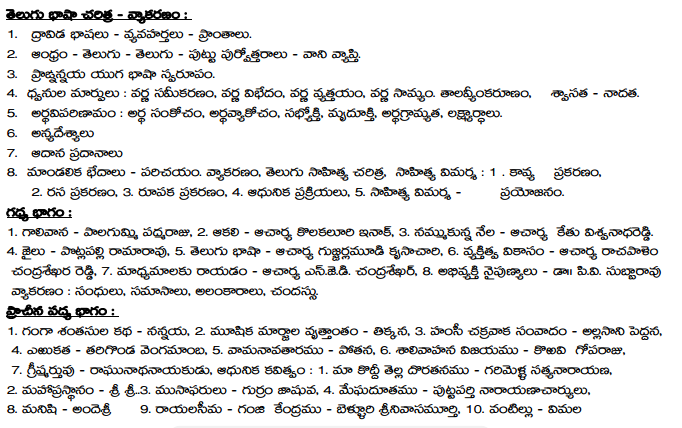 Applicants will also be able to check the syllabus of AUEET and also the exam pattern of Andhra university EET. For any type of assistance, while accessing the syllabus/ exam pattern of Andhra University engineering/ common entrance exam 2017, candidates are invited to contact us by leaving their comments at the end of the post.